Sky TV is having a brief sale | What Hi-Fi? 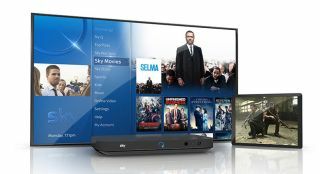 From now until midnight on May 11th, Sky TV is offering 50% off many of its TV packages for 18-month contract sign-ups. This means the most affordable bundle - the Original, with 270 channels including Sky1 and Sky Atlantic - can be had for £11 per month. Even the notoriously pricey Sports bundle - including eight sports channels, of which one is the all-important English Premier League - is currently available for £24.75 per month. No matter your preference, each bundle includes Sky Q, the broadcaster's latest box. MORE: BT TV G5 vs Sky Q vs Virgin TV V6 - which is best?